After over 24 hours of exhausting travel from Vancouver to Seattle to Amsterdam and finally to Nairobi, we were relieved to arrive and rest at our hotel. 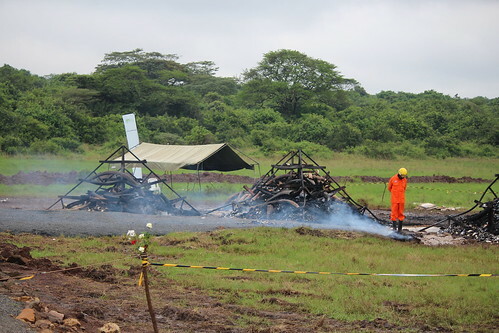 Little did we know an historic ivory burn, a call to end the ivory trade worldwide, was taking place in Nairobi National Park. We’d already planned to visit the the National Park for a safari tour, so we were grateful to have the chance to also see and experience this event first hand. 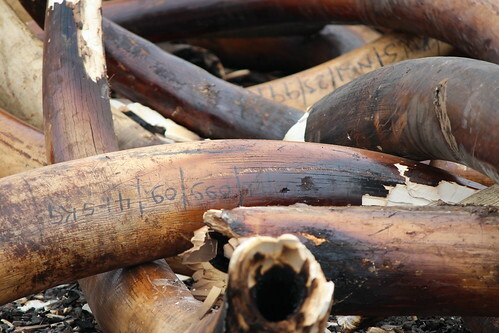 We witnessed a pivotal moment in the ivory trade history: 105 tons of elephant tusks and 1.35 tons of rhino tusk were burned to protest poaching of elephants. Africa’s elephants might face extinction by 2025, so African leaders collectively decided to do something they’ve done three times before: destroy almost the entire stock of ivory expropriated by Kenya, equivalent to the tusks of 6,700 elephants!, Kenya hopes that the burning of ivory tusks will show their commitment to ending the illegal business and convince buyers that ivory is worth more on the elephant than it is as a jewelry. Some conservationists argue against this action. They believe destroying such a significant amount of the outlawed commodity will instead increase its value and demand. Wildlife officials from places like Zimbabwe and South Africa disagree as well, where elephants are more effectively protected and profits go back into conversation. 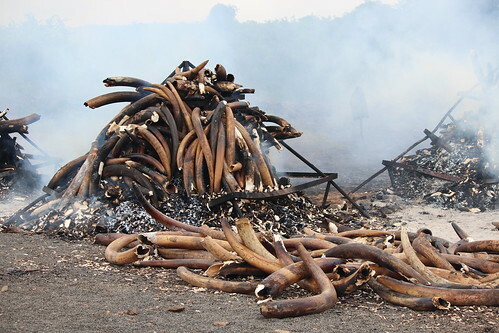 These officials describe the tusk burning, which takes at least a week to finish, as a publicity stunt with insufficient proof that it results in lower demand. The rhino population is in even more jeopardy than elephants. Once abundant, there are now fewer than 30,000 rhinos in Africa, compared to 500,000 in the early twentieth century. Many sanctuaries have been built and heavy protection has been implemented around the last three remaining Northern White Rhinos in Kenya. Although these persistent efforts have had some positive effect, the growing demand from Asian countries have been driving up rhino horn prices. Kenyan poachers can sell a single rhino’s horns of a single rhino for approximately $50,000. Several different solutions must combat poaching and the glorified ivory culture: environmental education, community conservation programs, and strict anti-poaching measures. Although there are many sides to the argument, we do know is that the continuing existence and protection of these precious animals is incredibly important for future generations. Our treatment of animals reflects our societal values. Although there’s no single perfect answer, any solution must start with awareness. We implore you to join the conversation: use the hashtags #WorthMoreAlive and #StoptheTrade. Help shine a light on these critical issues.